There are a number of cash back websites that offer some great rebates and discounts if you shop at retailers through their website. 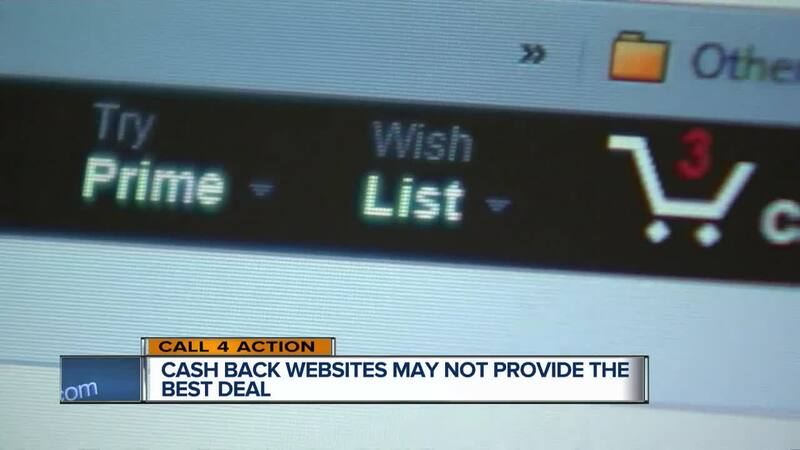 MILWAUKEE -- There are a number of cash back websites that offer some great rebates and discounts if you shop at retailers through their website, but if you are looking to get the best overall deal it might be a good idea to pay attention to what happens to a retailer’s discounts and incentives if you use a cash back site verses buying direct. Cash back websites receive commissions from major retailers for bringing business to their site. However, when a retailer is paying a commission to these sites, they may not offer the same discounts and incentives that would be available for shopping direct. When shopping online, it might be a good idea to check out what is being offered directly through the retailer and then compare this with how things change when you go through the cash back site. Also, pay attention to the terms and conditions. Some purchases are not eligible for discounts or rebates. If you purchased via the cash back site, make sure that you are credited properly with rebates or other incentives. Although most of these sites do a good job of getting the rebates credited to you, sometimes things get missed. If you notice a discrepancy, contact the cash back site immediately to file a dispute. If you are unable to resolve the issue, contact our Call 4 Action office for help.